Tummy aches are a frequent complaint in children, especially kids age 5 and younger. Fortunately, a stomach ache is usually nothing serious. For example, if your child is being potty trained and his tummy hurts, he may need to go poop. Or if he just had supper and has no other symptoms, he simply might have eaten too much. But your child's tummy ache could also be from an illness or a digestive problem. Call his doctor if the pain doesn't go away or gets worse. Here are some other common – and not so common – causes of stomach aches in children. Constipation is the most common stomach problem in young children, and the pain is often felt in the lower belly area. If you notice that your child is having bowel movements less frequently, especially if it's been four or more days and she's uncomfortable when she does have one, she's probably constipated. Another sign is dry, hard stools that are difficult for her to pass. What to do: Make sure your child gets plenty of fluids throughout the day. And on the days when she seems constipated, feed her foods that produce looser stools (like oatmeal, apricots, pears, prunes, and peas), and cut back on foods that tend to cause firmer stools (like bananas, apples and applesauce, carrots, rice, and squash). If your child still has trouble pooping, talk to her doctor about treatment options. He may prescribe an over-the-counter stool softener, a lubricant (such as mineral oil), a suppository, or even a laxative if your child is very constipated. Only give your child a laxative or other over-the-counter medicines if her doctor recommends it because they can cause harmful side effects if not given properly. Intestinal gas is another common cause of a tummy ache. What to do: Offer your child a high-fiber diet and plenty of water, and establish a bathroom routine that involves having him sit on the potty for up to five minutes a few times a day (such as after meals). Your child's gas pain could be an accumulation of too much stool in the colon. This is especially common in toddlers, who may not be able to poop completely during a bowel movement. It may help to eliminate the food that's triggering your child's gas, so make a note of what your child recently ate whenever he has a bout of gas. One possibility is too much juice. Many juices – including apple juice and cherry juice – contain sorbitol, a nondigestible form of sugar that causes gas. For an older child, gas relief drops (such as Mylicon or Little Remedies) can help. Don't give these drops to a toddler, however, because the main reason for their gas is often an inability to poop completely. This is related to muscle development, not what he's eaten. Call the doctor if your child complains of a stomach ache several times a day for more than three consecutive days, or if he has other symptoms, such as vomiting, diarrhea, or fever. What can cause Stomach Pain in a Child? Constipation is a common cause of abdominal pain in children. Some more serious causes of abdominal pain in children include appendicitis, lead poisoning, or problems with the intestines, such as intussusception or malrotation. 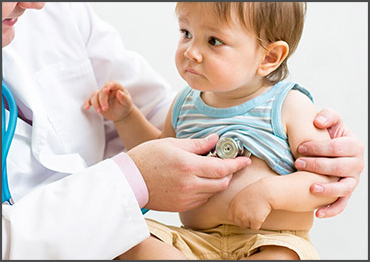 Recurrent abdominal pain (RAP) is a condition that affects children ages 4 to 11. What do you give a child with a Stomach Ache? 1. Have your child rest when he or she has mild stomachaches. 2. Have your child sip clear fluids, such as water, broth, tea, or fruit juice diluted with water. 3. Have your child try to pass a stool. How do you stop a Child from throwing up? If your child has just vomited, wait 30 to 60 minutes before giving fluids and then start with small amounts. Avoid giving your child solid food for the first 24 hours after the vomiting starts. Instead, give him clear fluid in small, frequent doses (every 5 minutes) by spoon or bottle. 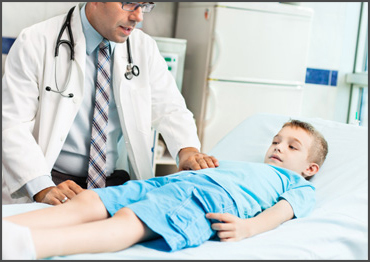 How do you know if your Child has appendicitis? What helps Child with Constipation? If your child is older than 6 months, add fruit juices, such as apple, pear, or prune juice, to relieve the constipation. After age 6 months, give 0.5 Tbsp (7 mL) to 2 Tbsp (30 mL) of prune juice. Increase the amount slowly over time. At age 9 months, add 1.5 Tbsp (22 mL) to 3 Tbsp (45 mL) of strained prunes per day.